The Friends of Archaeology and Heritage is running this project in cooperation with six schools in Amman. The aim is to communicate the concept of cultural heritage preservation to schoolchildren by encouraging them to establish archaeology clubs in their schools. At present the FOAH team is working with the teachers who will eventually help the children to establish the clubs and identify the activities (lectures, field trips and festivals). So far, two workshops for teachers have taken place at the FOAH premises, including one for teachers of art history, history, and social studies on how to use the MWNF Virtual Museums and Virtual Galleries as teaching aids. 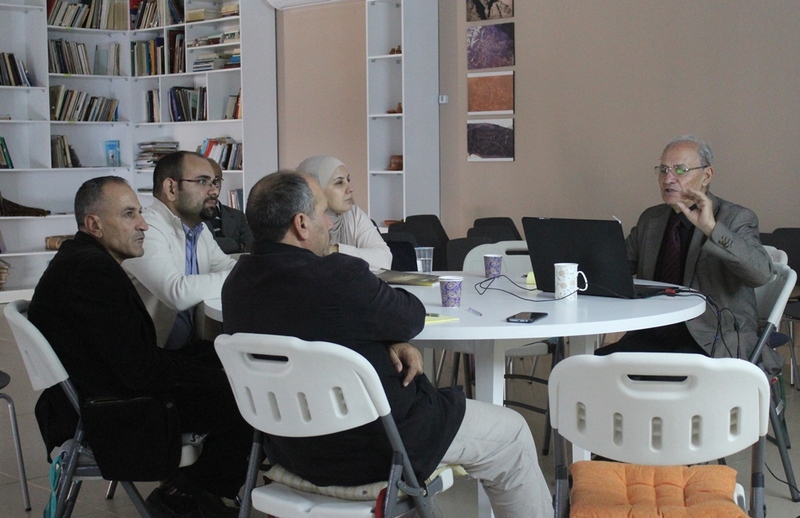 The workshop was coordinated by Mohammad Najjar, shown in the picture presenting the MWNF website. The dialogue with teachers provides an opportunity to discuss new opportunities for using the MWNF website as an educational tool, in light of the region’s recent history. Possible updates of the existing Learn with MWNF platform will be addressed as well.